I graduated from the Military Medical Academy and the Department of Dentistry at the Medical Academy in Łódź. 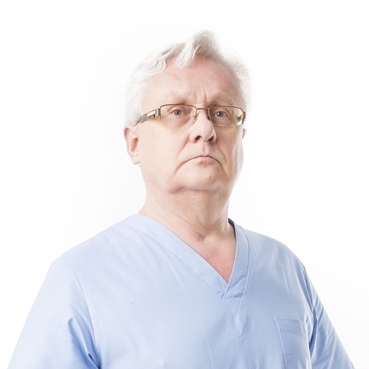 In 1985, I began my work in the Department of Prosthodontics of the Institute of Dentistry in the Central Clinical Hospital of the Military Medical Academy (WAM) in Warsaw, where I worked for 18 years in the capacity of an assistant, senior assistant and head of the laboratory. In 1989, I obtained the title of general dental practitioner, which was followed by the title of specialist in dental prosthodontics. I was the head of a specialisation programme for 25 dentists. I participate in numerous training courses in prosthodontics, implantology and implant prosthodontics in Germany, Italy, Sweden, Spain, France and the USA. Moreover, I have an extensive track record of lectures and training courses conducted in the field of prosthodontics and implant prosthodontics. In the years 2003-2008, I acted as consultant-coordinator for prosthodontics and consultant for dentistry in the Enel-Med Medical Centre. Since 2008, I have been a member of the State Examinations Commission of the Centre of Medical Examinations.